The OIST football club has been around since pretty much as long as OIST itself. With 60 signed-up members, and 25 of which regurlarly joining the practice session, OIST-FC is one of the most active clubs at OIST. 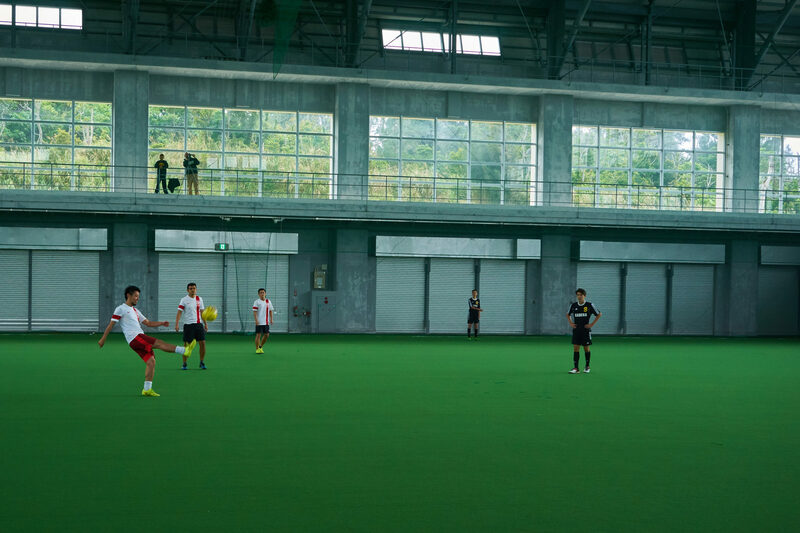 The club usually practices on Monday and Friday evenings, from 20:00 to 22:00 at either the Akama Dome, or the Ishikawa Indoor field. In order to cover the renting fee of those fields, we usually ask our participants to pay a small contribution of up to 400 yen per person (the fee varies depending on the number of players we have). If all fails, or if we feel like having a casual kickaround session while enjoying the sunset, the Seaside House netted soccer pitch is also available, free of charge. Some "more serious" games are sometimes organized. Those are usually announced way ahead of the game-day in order for the team to train properly (positioning, tactics, ...). Anyone is free to join these games, as long as they can fully commit to the training sessions and work with the team efficiently. The club is currently managed by Thomas (thomas.nieddu@oist.jp), Soshi (soshijapan2525@gmail.com) and Yuuki (yuukiguzman@gmail.com). For any specific question regarding OIST-FC that was not addressed on this webpage, please make sure to contact them. If you wish to receive updates on the time and locations of our practice sessions, you should probably sign-up to our mailing list. In addition, prior to joining a game, make sure to add yourself to our Google Spreadsheet, so that we can keep track of our members and know how to organize the game in case a large number of peope desire to play with us on a given day. On Saturday April 1st, OIST FC played a game against Kadena High School @Akama. The game ended with Kadena winning the game 4-2 with goals from Yuuki and Jerome for OIST FC.